The scam starts with a call or letter saying you’ve won the Publishers Clearing House sweepstakes. But to collect your prize, they say, you need to send money to pay for fees and taxes. Typically you’ll be asked to send money by Western Union or MoneyGram, or by getting a reloadable card or gift card. Scammers ask you to pay these ways because it’s nearly impossible to trace the money — and you’ll almost never get it back. But that’s not the only way scammers get your money with this scam. Some will send you a realistic-looking fake check in the mail. You’re told that, to claim your prize, you need to deposit the check and send some of the money back for made-up expenses. But when the check you deposit bounces — even after it seemed to clear — you may be on the hook for the money you sent. Never send money to collect a prize, sweepstakes check, or lottery winnings. If you have to pay, it’s a scam. Never deposit a check and send back money, even if the funds appear in your account. That’s a sure sign of a scam. If anyone calls asking you to pay for a prize, hang up and report it to the FTC. A new scam has been reported to the Jasper County Sheriff’s Office of a subject falsely representing themselves as working for the Health and Human Services. This subject told the caller that $9,000 would be deposited into their bank account and requested personal bank information to complete the transfer. This scam is phishing for your personal and bank information to be used for illegal purposes. Please be cautious of these types of telephone calls, use good judgement, and protect your personal information. The Jasper County Sheriff’s Office has received complaints from several local businesses that an unknown caller is stating they are an employee of the local utility company. This caller demands money immediately or utility services will be disconnected. If a caller is representing themselves as a utility employee and their demeanor is rude, demanding, or threatening; hang-up immediately and contact your local utility company and inquire if there are any discrepancies on your account. This scam can also affect homeowners or renters; so all citizens of Jasper County should be alert and aware of these types of calls. 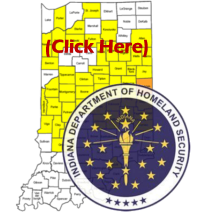 The Jasper County Sheriff’s Office has received several complaints of scams involving driveway paving throughout Jasper County (other similar work such as roofing, remodeling, siding, etc.) These individuals are approaching homeowners unsolicited to perform driveway paving with exaggerated costs and poor quality of work. Do not invite or allow them into your homes, garages, or out buildings. You have the right to tell these individuals their services are not needed and to leave your property immediately. Be cautious of scare tactics, intimidation, “good deals”, or work being started without consent. We recommended to all homeowners and/or property owners to obtain multiple work quotes from several different prominent companies prior to hiring contractors. If you are solicited for these types of work and feel you’re being scammed or the individuals refuse to leave, please contact your local law enforcement agency or dial 911 immediately. We additionally ask everyone to pay particular attention to senior citizens in your neighborhoods for these type of activities since a majority of scams are targeted at our seniors. On June 29th, 2016 a citizen of Jasper County reported that after posting an online ad to sell a lawn mower he was contacted by a subject from the Netherlands. The subject advised he was interested in the lawn mower and sent a check for more than 3 times the asking amount. The subject requested the citizen to cash the check, send the lawn mower to the Netherlands, and send the remaining cash. The check was fraudulent and the citizen could have lost a large sum of money. Always be cautious when making online ad transactions. There have been a number of reported cases of credit card skimmers found at ATMs and Gas Stations throughout Indiana. A skimmer is a malicious device that captures the magnetic strip data from credit and debit cards. This information can be used by the suspect(s) or sold on the black market to fraudsters who produce “white cards” or cloned duplicates. It is important for citizens of Jasper County to be conscious of this activity. When using an ATM or fuel pump at a gas station, look for signs of tampering. Grab the reader if it looks suspicious and give it a tug to make sure it isn’t a skimmer. Look for things that are out of the ordinary. For example, is the color of the reader or surrounding area different than the rest of the ATM or gas pump, is the reader misaligned or protruding. For more information, please visit the F.B.I. 's website on Card Skimmers below. The Jasper County Sheriff's Office has received complaints of telephone calls from individuals identifying themselves as employees with local utility companies. These subjects are demanding immediate overdue payments and if payment is not made the utilities will be shutoff within 30 minutes. If you feel a telephone call may be fraudulent, hangup immediately and call the utility company directly yourself and inquire on your account. Never provide your personal or credit card information over the telephone.